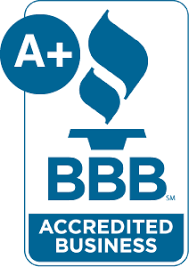 Carpet Cleaning — Leticia's First Class Cleaning Inc.
Did you know Leticia’s First Class Cleaning, Inc. provides carpet cleaning as one of our many quality professional cleaning services in San Luis Obispo County? And just like our other cleaning services, our professional carpet cleaning uses safe, non-toxic products which are better for you and the environment, and something our company is proud to stand behind. Professional carpet cleaning is something many of our clients ask for during the holidays to prepare their home to look its best for family and friends in addition to a regular or deep house cleaning service. Residential carpet cleaning often requires us to remove old stains left behind by children and pets. These stains require expert attention and we’re happy to use the most appropriate cleaning methods to get the job done right in your home using solutions safe for you and your family. Residential carpet cleaning may also need more time spent with high traffic areas or multiple floor surfaces like tile in bathrooms. Our professional cleaning team can handle all of your floors at the same time. We also clean a lot of carpets as part of rental agreements for move out cleanings. Renter agreements often include a cleaning deposit and it may not be until you remove all of the furniture that you see just how dirty the carpet is, which will need to be cleaned if you want your cleaning deposit back. If you are a renter and need to clean those carpets professionally, give us a call. We have helped many renters in San Luis Obispo, Paso Robles, and the surrounding area reclaim the cleaning deposit and save money on move out cleanings. We also clean carpets at vacation homes and for property owners before a new renter moves in. For property owners of rentals and vacation homes, mystery stains in the carpets can be alarming when you didn’t make the mess yourself, and hard to remove without knowing if it is an acid, protein, or oil based stain. This makes professional carpet cleaning for vacation homes and rentals that much more necessary in maintaining a clean environment for the next guest. We use professional-grade cleaning products and will take care of your investment. No carpet sees more foot traffic than commercial floor carpeting. Even without a specific spill or stain, commercial carpet can look dirty and dingy very quickly just from foot traffic and dust. Our professional carpet cleaning service can restore life back into your carpet and give your commercial space a more vibrant feel again. For busy offices, we can create a schedule to regularly clean your carpets as part of a janitorial service, or we can provide a one-time carpet cleaning service for those businesses in need of a deep clean for a special event. The frequency of your professional carpet cleaning service will depend greatly on the amount of foot traffic your carpet receives and how often someone might spill anything other than water on it. Retail stores with carpet may need a professional carpet cleaning more often than a private office space as a retail store sees more foot traffic directly off of the street coming in and out all day. Contact us for a free estimate and review of your commercial carpet cleaning and janitorial needs. Spills happen. Leticia’s First Class Cleaning is the largest cleaning service team in San Luis Obispo County and as such we make every effort to take care of you when you need it. During the holidays, we strongly suggest advanced reservations for our professional carpet cleaning services, but if you suddenly find yourself with red wine staining your white carpet, give us a call. Owner Leticia has been known to take calls in Paso Robles in the middle of the night to keep her customers’ cleaning needs met.